Explore the secrets of the frog, layer by layer—from their slimy skin to their long sticky tongues—with an amazing 3-D layered model. Frogs swim, they leap, they hop, and some can even fly. There are poisonous frogs, hairy frogs, singing frogs, albino frogs and even glass frogs with translucent skin you can actually see through! Uncover the secrets of this amazing animal—that’s anuran to you frog specialists—layer by layer, in this new title in the popular Explore series. 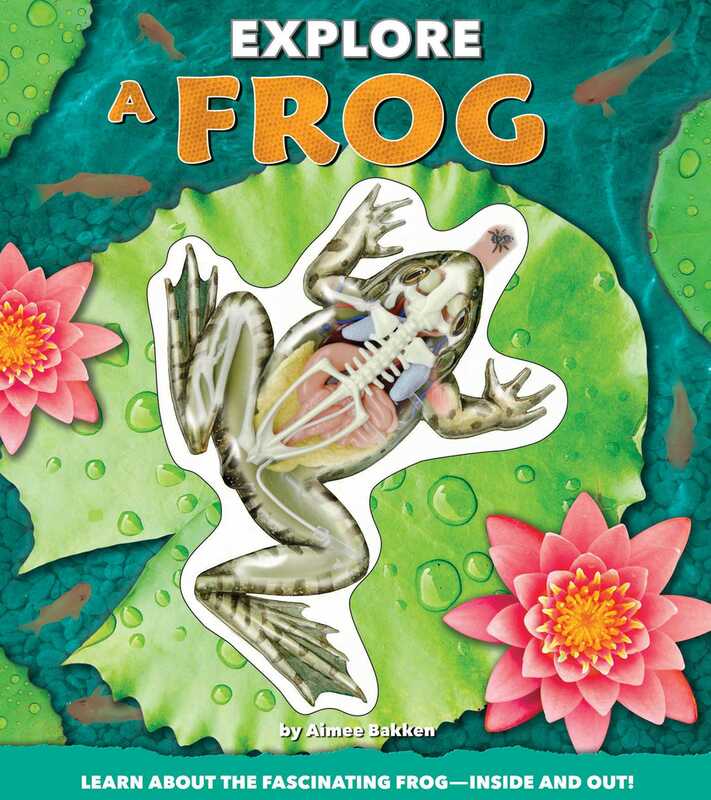 Young frog fans will love dissecting all the weird and wild facts, cool illustrations and diagrams, and unique 3-D layered model of a frog. With every turn of the page, the frog is deconstructed before their eyes, as the model demonstrates the hidden workings of the frog’s body. Perfect for curious kids, ages 8 and up. Aimee Bakken taught biology at the University of Washington for 32 years. Her students included everyone from dabblers to graduate students. She has also served as a one-woman show-and-tell experience, bringing frogs and other creatures into high school classrooms to share the wonders of biology. Aimee has also consulted and testified as an expert witness in trials involving DNA testing. She lives in Washington State.